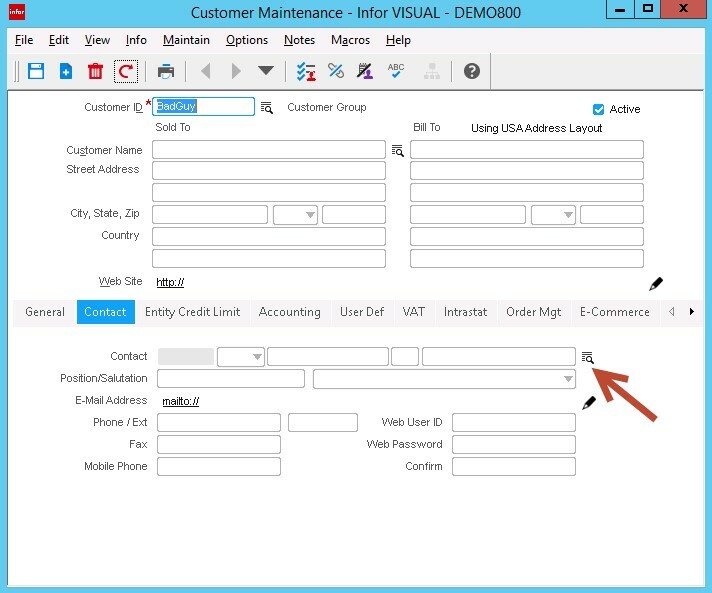 Did you know that VISUAL 8 adds the ability to directly add and manage contacts in Customer Maintenance and Vendor Maintenance? 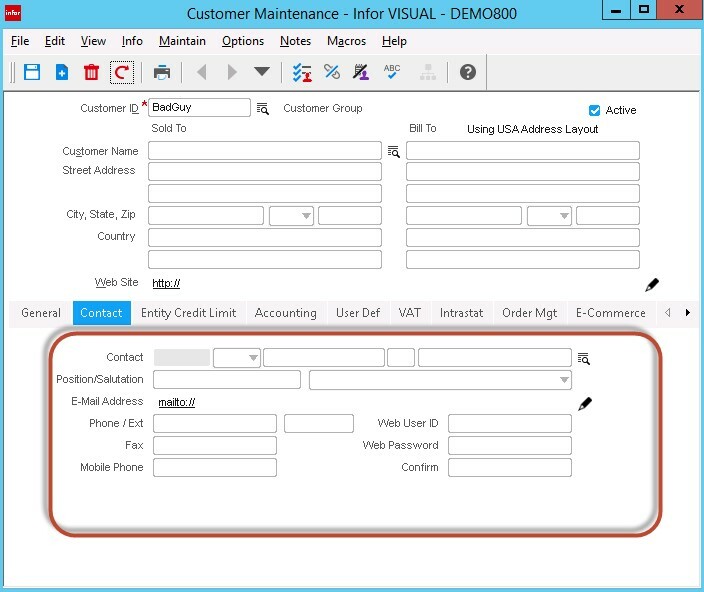 The following screen shots are from a beta version of VISUAL 8, so these may appear slightly different in the final release. However, this functionality will remain. 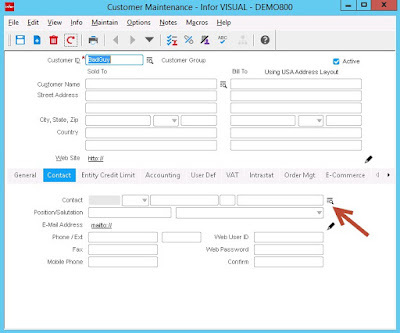 In Customer Maintenance, you can add a brand new contact as shown below. 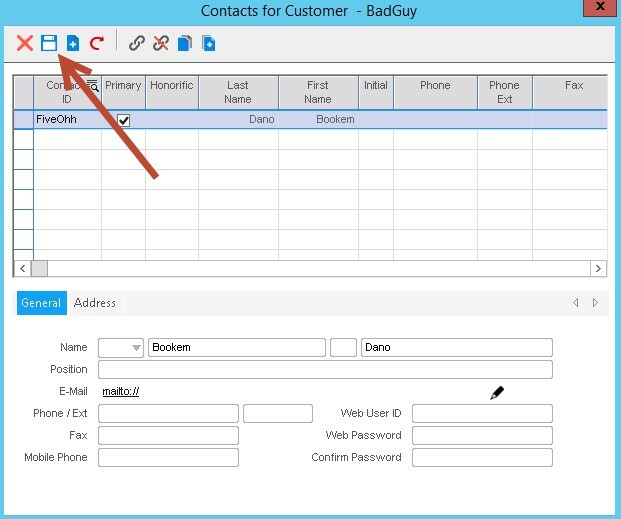 This new contact will be associated with this customer. 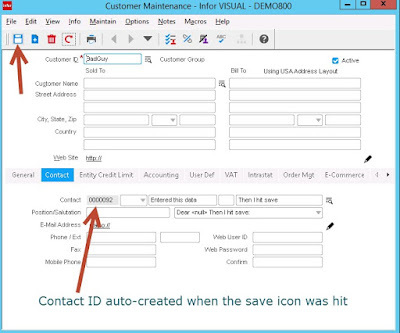 Click this icon to bring up all contacts associate with the customer. 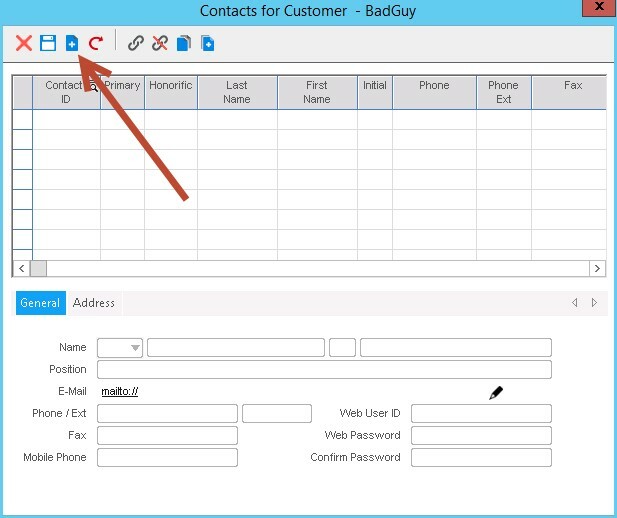 From here, you can click the “New Contact” icon to add a new contact. 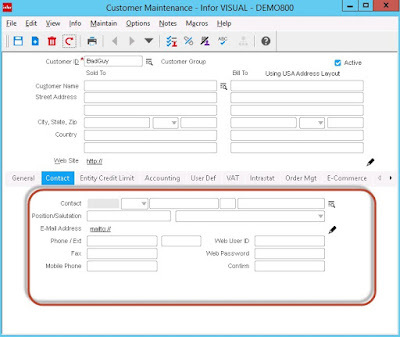 You can also make changes to existing contacts for this customer. 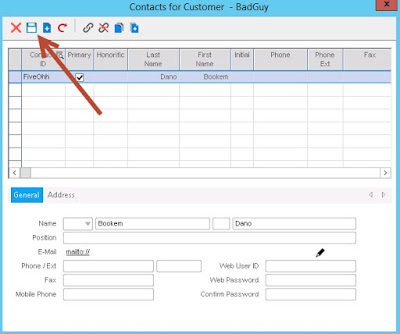 Add your new contacts by filling in the information at the bottom of the window and hit the save icon as shown below. As you can see below, the new primary contact information is now associated with this customer and displayed. The method above will allow you to add multiple contacts and make changes to existing contacts. 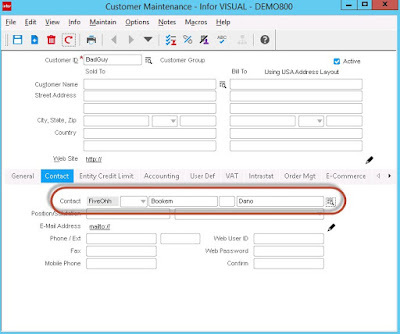 If you wish to simple add one primary contact, you can simply enter the data directly within the customer maintenance screen and hit save. 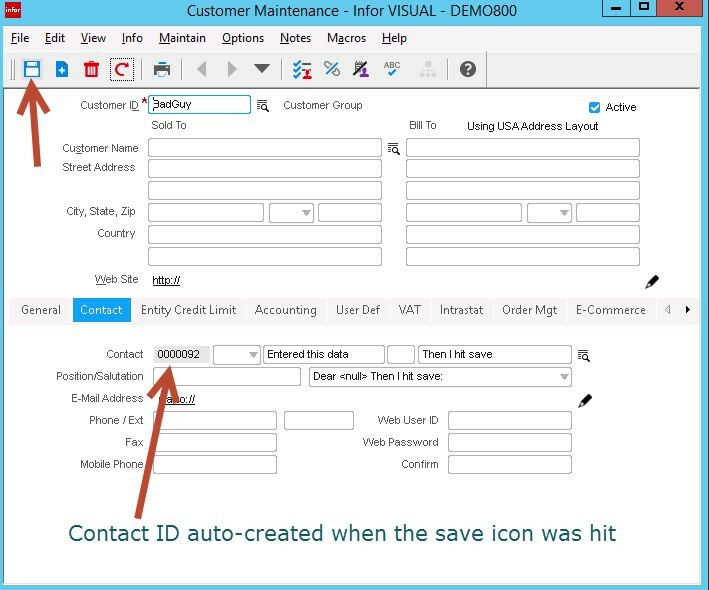 This will auto-assign a contact ID and make it the primary contact for this customer as shown below. 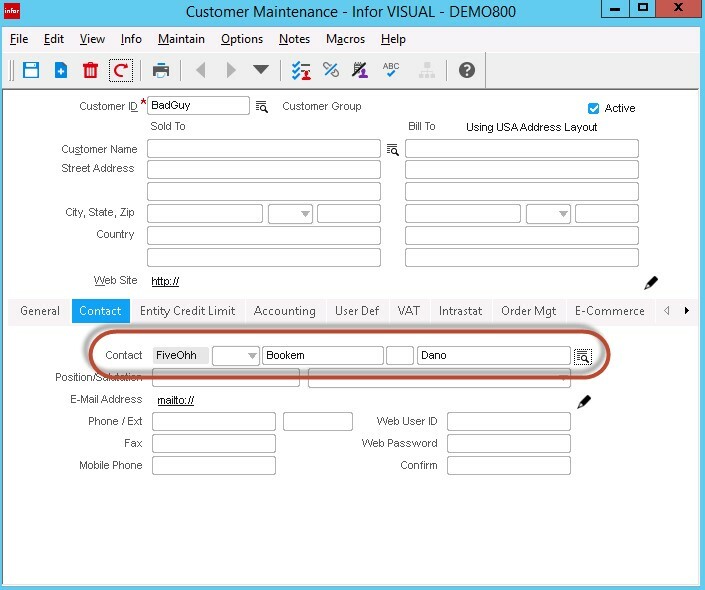 This Infor VISUAL Tip was brought to you by BizTech VISUAL Consultant, Larry Tussing. Is there a release date for Visual 8 yet? Infor has not announced it yet. We are hoping for an announcement in the next few weeks.